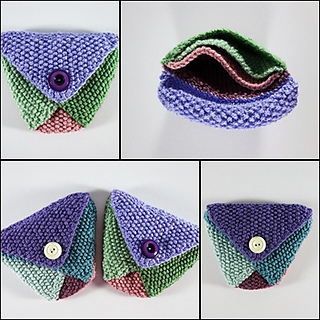 This little purse is based on an origami design and is made up of five simple knitted pieces. The finished purse is about 12.5 cm wide and 10 cm tall and has three separate pockets. One purse can be knitted with about 25 - 30 g of DK weight yarn.